When a well-meaning English teacher has overweight student Krista read aloud a poem about body image titled "Barbie Doll" in class, she ignites a simmering bullying event based on Krista's appearance. Krista's best friend, and witness to the event, Tessa, is suspended for fighting to defend her friend. The girl who bullies Krista seems unaffected by the incident at school and more concerned with what an older guy thinks of her. But as the three characters' paths intersect, their inner lives are revealed. Each emerges as a much more complicated individual than their simple bully, target, and witness labels. I wanted to like this book, but maybe I just have high expectations since I read Big Fat Disaster. Although the concept is a good one, it just wasn't executed well. 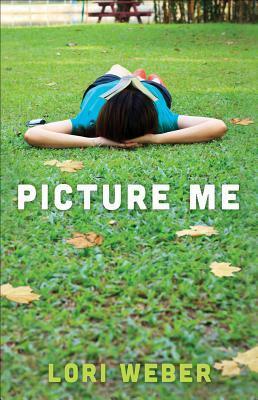 The novel alternated between the points of view of Krista, the overweight girl who is bullied; Tessa, who is her best friend; and Chelsea, the bully. I normally don't mind switches in point of view, but it just didn't work in this case. All of the characters sounded exactly the same in the way they spoke, and Tess's subplot about her family (the most believable part of the novel) just sticks out as not at all related to the bigger message the novel is trying to convey. The ending left me with too many unanswered questions. It was like the book just suddenly stopped. Chelsea's storyline never wraps up, which really bothers me because it could send the wrong message that Chelsea's behavior is okay. I won't give away any spoilers for anyone who may be reading the book, but I found it really unsettling as an adult. Overall, I was disappointed in this one. It's a short read but took me way too long to finish because I just wasn't invested in Krista's story. Which is sad, because I really wanted to care.